We are running trains daily until Tuesday April 23rd and will then revert to our normal Tuesday, Thursday, Saturday, Sunday timetable. Check our events page for details of our children travel free offer 20th-22nd April ( Ts and Cs apply). Crossing Cafe is open daily from 9:30 – 5p.m daily. 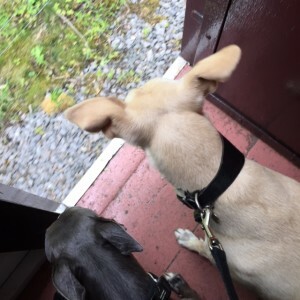 Dogs are not only accepted at South Tynedale Railway, we consider them one of the family! 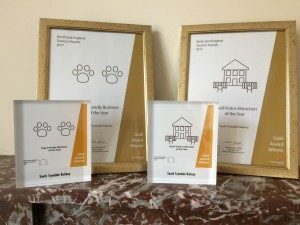 We are proud recipients of the Dog Friendly Business awards and we will give your four-legged friend a warm welcome, a dog treat and a poo bag for those little emergencies! Our shop sells a range of dog treats including ‘Pawsecco’ and ‘Bottom Sniffer’ beer and our Wellybix biscuits come in a delicious range of flavours and they’re locally made too! 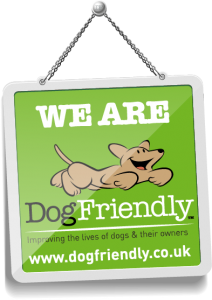 Dogs are welcome in all of our areas including our cafes, Discovery Centre and Engineering Workshop Viewing Gallery. 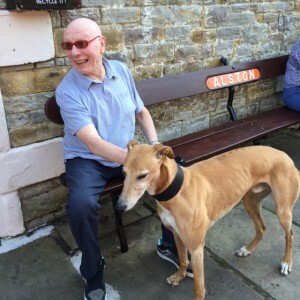 Dog Rover tickets are £2 and dogs must be accompanied by a fare paying human! Water bowls are available at Alston and Slaggyford stations but we’ll happily fill a travelling water bottle up for you too – just ask! 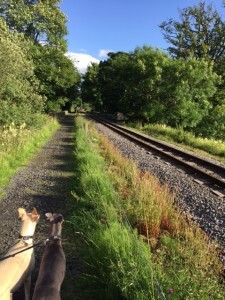 The permissible footpath of the South Tyne Trail runs right along next to the track (fenced off) and dogs can enjoy wonderful walks with their families. Please help them by scooping their poop as they can’t do it themselves! 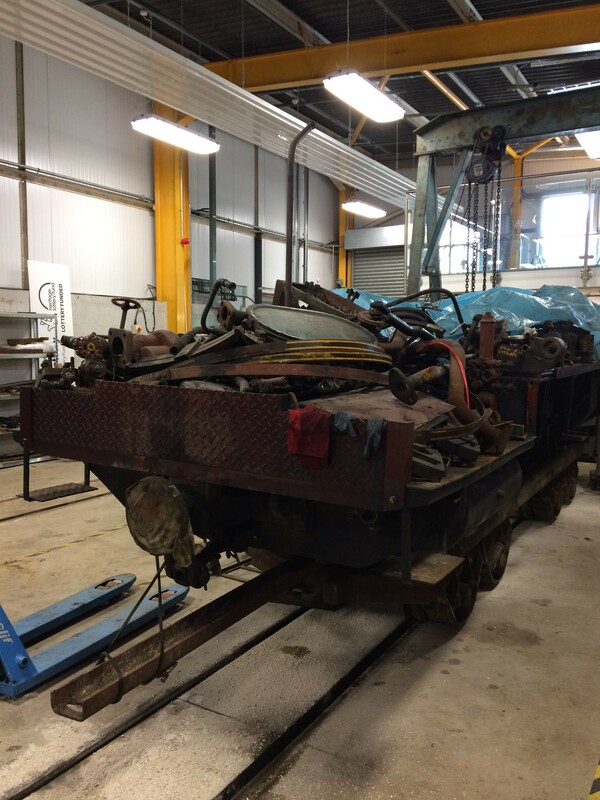 The trail starts right next to the free car park at Alston which is open until 5.00pm Monday to Sunday in season. Don’t forget to post pictures of your doggy day out on our facebook page; we’d love to see them!